Tim has a very busy commercial chancery practice focussing on commercial litigation (including civil fraud, company and insolvency), pensions, professional negligence and trusts. He appears frequently in the High Court, both led and unled. 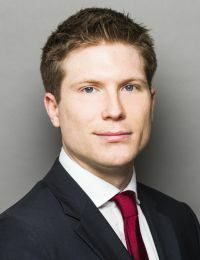 Acting as junior counsel in KeyMed (Medical & Industrial Equipment) Limited v Hillman, a fraud claim and breach of directors’ duties claim for over £50 million. Acting as junior counsel for the trustee in Granada UK Rental and Retail Ltd v Pensions Regulator  UKUT 164 (TCC), a reference of a determination to issue a financial support direction. Appearing as sole counsel in a number of interim applications in the High Court, including in relation to freezing orders and injunctions restraining misuse of confidential information. Acting as junior counsel in Cooke v Parker  EWHC 1028 (Ch. ), an application for the discharge of receivers appointed over a solvent company for breach of the duty of full and frank disclosure. Appearing as sole counsel in a trial about the repayment of a director’s loan account. Instructed as junior counsel in high value rectification proceedings. Appearing as sole counsel in a trial about the removal of a director. Acting as junior counsel in a professional liability claim against a corporate trustee arising out of its lending of trust monies. Prior to joining Wilberforce, Tim studied Law at Brasenose College, Oxford, and graduated with a first class degree. He was awarded the Wronker Law Prize for placing joint first in the university. He went on to obtain a distinction in the BCL. Studied Law at Brasenose College, Oxford and graduated in 2012 with a first class degree. Awarded the Wronker Law Prize for the placing joint first in the university. Completed the BCL (distinction) and the BPTC (outstanding). Lord Denning scholar of Lincoln’s Inn.